To Fix Housing, See the Data – (NYTimes) – The case for principal write downs. A soon-to-publish-post will try to provide context to the various home price indices for those in the Charlottesville MSA. The Economics of City Mouse vs. Country Mouse – (Get Rich Slowly) – Charlottesville provides a good mix of both City (by our definition) and Country (which is easy enough to get to in under 15 -20 minutes. How you want to live will determine where you want to live. 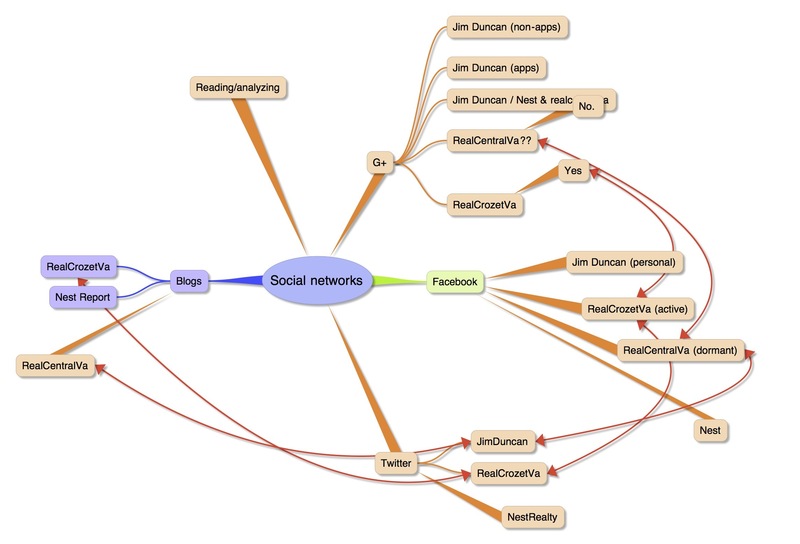 Mind mapping my social networks – next map will be the flow of information. – My real estate page on Google Plus.